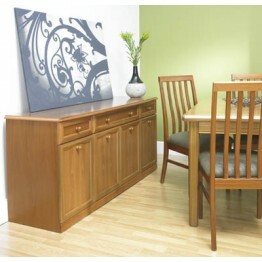 Below are the furniture ranges within the Sutcliffe Trafalgar Teak Finish Collection. 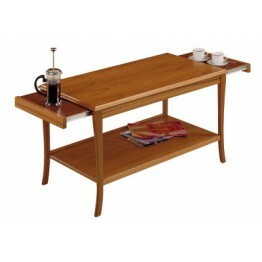 This all embracing collection of teak furniture includes many dining tables, dining chairs, wall cabinets, sideboards, bookcases, corner cabinets, TV cabinets, dvd/video units and other media storage cabinets as well as nest of tables, coffee tables, lamp tables and all occasional furniture. 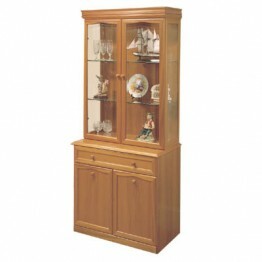 The collection has expended over the years and now includes the Trafalgar Connect range which also features pieces to be placed next to each other completely flush to form a larger units. 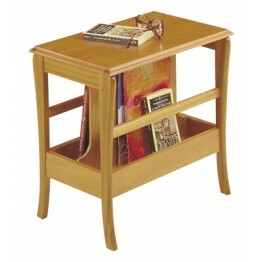 The teak finish has a warm & rich appeal which will endure over many years. 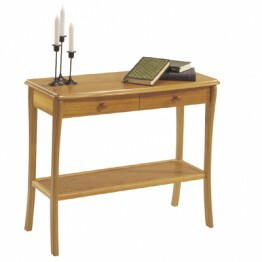 Sutcliffe furniture has over 120 years of experience of furniture making and without exception the trafalgar teak collection bears all the hallmarks of traditional sutcliffe craftsmanship. 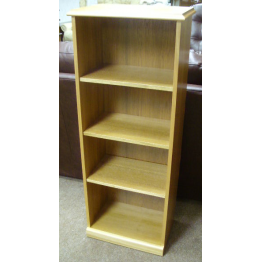 All prices include VAT and it is free delivery across mainland England & Wales within 6 - 8 weeks, however we do carry large stocks of furniture in our two warehouses so if you need it sooner please contact us as we can often offer this. 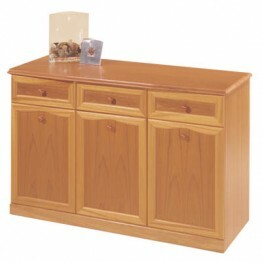 Looking for a Sutcliffe Dining Suite? Please call us to ask about our Free Dining Chair offer! Tel 01283 740004 - Ends 31st May 2019. 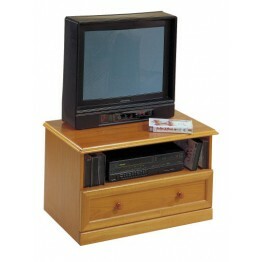 A corner TV base unit with clever shelving at the sides for those remote controls and DVDs.Model Num..
Sutcliffe Furniture small bookcase with two shelves as standard, model number 238. 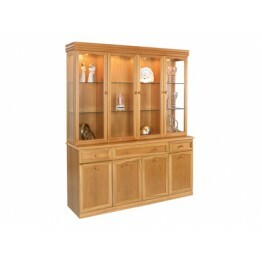 Adjustable shelve..
An elegant circular table comfortably sits four diners with a pedestal leg for maximum leg room.Mode..
Sutcliffe 252 bookcase with two lower doors A neat bookcase with th..
253 Sutcliffe Trafalgar Medium Open Shelf Storage with 3 adjustable shelves. Model .. 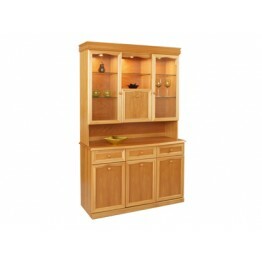 This is the price for the 819B corner cupboard base unit only, which has a door that opens for usefu.. 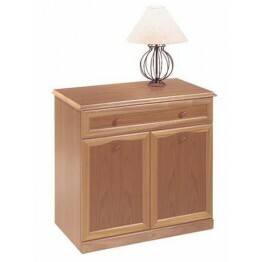 Corner display unit with the combination of storage make this corner unit an ideal choice for those ..
Lamp table with drawer and shelf useful for those spaces needing a surface for lighting and for st.. 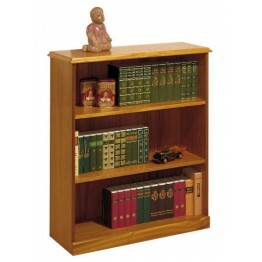 Ideal storage for papers and glossy magazines. 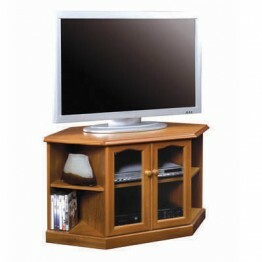 Has the extra facility to be utilized as an occasiona..
TV base unit with glass front doors for compact TV display, made by Sutcliffe Furniture. 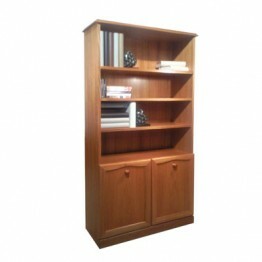 Internal sh..
Two door display unit with centre drawer. 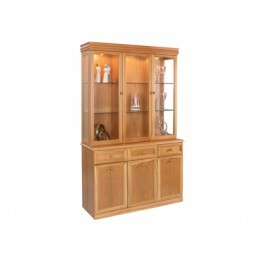 Made with real wood veneers and solid wood door surround f..
Two door display unit with centre drawer. 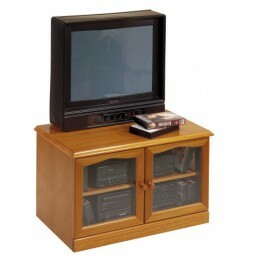 Made with real wood veneers and solid wood d..
Open DVD and digital storage TV base unit. 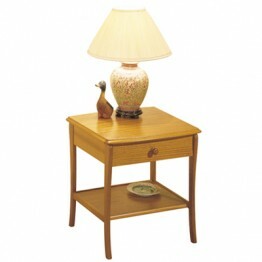 The additional drawer beneath can be utilised for fu..
No one wants to damage their wood surface. This innovative design has this covered. 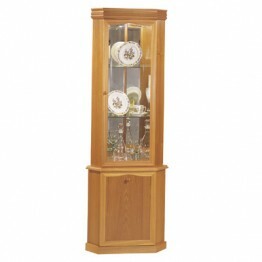 So the owner c..
A three door display cabinet with the top housing glass shelving to show off orn..
A three door display cabinet with the top housing glass shelving to show off ornaments to their be..
Multi functional display cabinet enabling display of your best artifacts and useful storage. Made ..
850 Sutcliffe Combination unit with wooden back and internal lights that shine down through the glas..
863B Base with 863M Top with Mirrors - A 4 door glass top display unit above a 4 door base with 2 wi..
863T Four Door Glass Display Unit on 863B base. A stunning addition.. 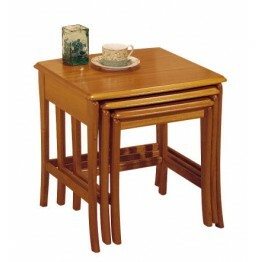 Traditional three nest of tables. 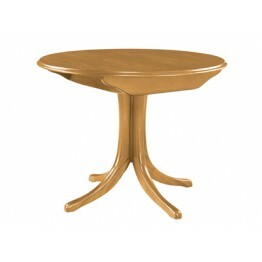 These tables offer the owner a space saving option but are multi..
An elegant hall table with refined legs and practical drawer for storage.Model Number STR-893-TKAvai..